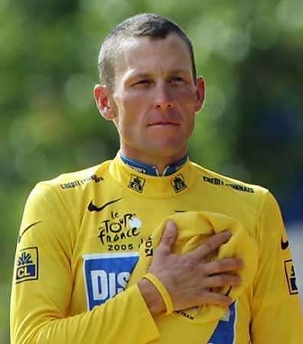 This week Lance Armstrong was stripped of his seven Tour de France titles and his Olympic Bronze medal from the 2000 Sydney games after deciding he would no longer fight the doping charges that have plagued him for years. He will probably also face lawsuits from the dozens of corporate sponsors who have paid him handsomely. But the one fight Lance will never back down from is his commitment to finding a cure for cancer. His organization, LIVESTRONG, who's mission statement, "We fight to improve the lives of people affected by cancer," has raised close to $500 million from over 215,000 annual contributors. LIVESTRONG has several exceptional programs and partnerships including the Anti-Stigma campaign, Livestrong at the YMCA, Livestrong Young Adult Alliance, and Fertile Hope. Sure, the foundation leveraged Lance's incredible athletic achievements to self-promote but it's outreach after 15 years has extended well beyond any cult-of-personality status initially attached to it. Let's not forget that at the age of 25 Lance was diagnosed with advanced testicular cancer, which had already spread to his abdomen, brain and lungs. Not only did he beat cancer and start his foundation before winning any of his titles, he went on to compete at an elite level few people can even conceive of. Would he have won first place without alleged performance-enhancing drugs? 25th? 102nd? Who knows. But he still would have been a world-class athlete by any standard and anyone battling back from cancer knows how hard it is to walk 2 blocks much less cycle 2000 miles. Still, while he's passed every single drug test he's ever taken, former teammates and assistants insist that Armstrong was part of the same complex doping scheme in which many of them admitted to being involved. The scathing 60 Minutes piece with former teammate Tyler Hamilton does make you wonder. For my two cents, I can't seem to wrap my head around someone who cops to a crime when he knows he's unequivocally innocent. It's your legacy, your children's inheritance, and your ancestors' re-written path of succession that will forever be tainted. But then again, I have no idea the stress such intense scrutiny can have on a person. Regardless, while it's hard to deny the possibility that Armstrong participated in some sort of performance enhancing activity (the definition of which can span a whole range of activities, legal and not, in my book) and despite the cloud of scandal that will forever be attached to his name, Lance deserves a gold medal for being a fervently devoted champion in the war against cancer. You can read Lance's statement to his fans regarding his decision on the livestrong.org blog and decide for yourself where you stand. I would agree. He is still a formidable athlete and an even more formidable human being. It is deflating to his image though with respect to backing down from this latest fight to clear his name. I mean, this is a guy who not only cheated death, he KILLED it! He had a 50/50 chance of survival when diagnosed with stage 4 testicular cancer. You would think that if he could fight those battles and win the war, go on to compete let alone win 7, that's SEVEN Tour De France titles, clearly one of the most challenging individual competitions on the planet, that he would fight to the death to clear his name, and yes, his legacy. Another sad day for all of us who believed once again in the superhuman abilities of a man. Now he joins the ranks of Mark McGuire, Sammy Sosa, and Barry Bonds.